Each year the high school Beta Club sponsors Pennies for Patients at Bluford Schools. All grade levels are encouraged to donate money to send to the Leukemia & Lymphoma Society in St. Louis. 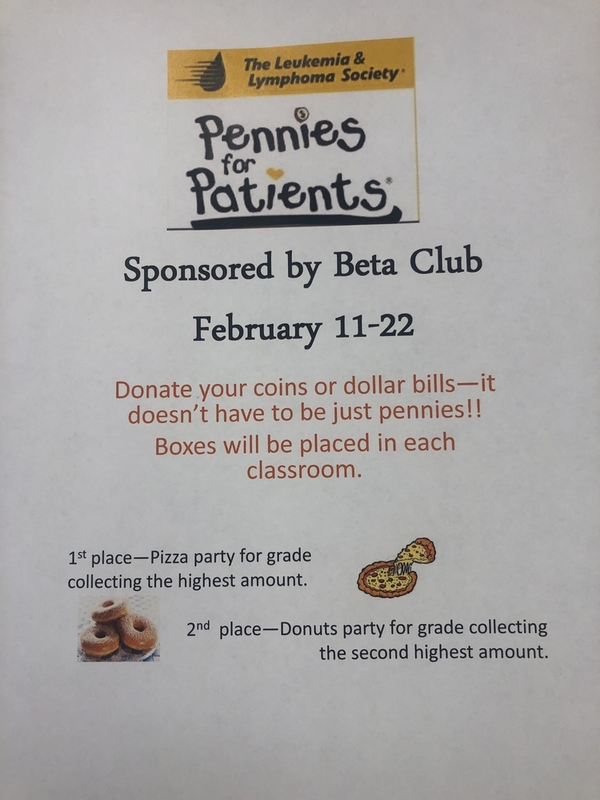 Beta also provides pizza for the grade level that raises the most money, and donuts to the grade level in second place. The winning class must have collected at least $100! Paper currency as well as all coin types may be donated. Checks will work as well. Please help us donate to a very worthwhile group.